This is the third edition of the lucky Aurora collection dedicated to the Italian seas. 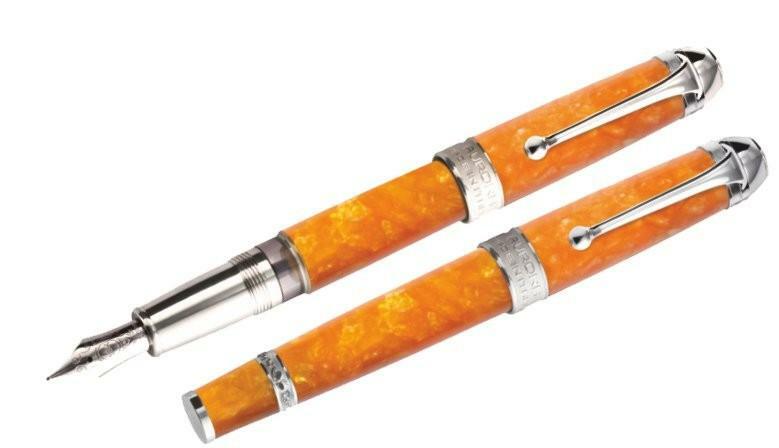 This time is the Ionio that inspires the color of the precious Auroloide resin used for this pen; the sun that always shines on those shores makes us all think of a yellow marbled hue. 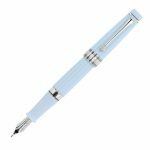 The details of the fountain pen are in sterling silver, piston filling system and 18kt solid gold nib. Limited and numbered edition. The pen is sold out, we have just one left. Only 480 pieces!! 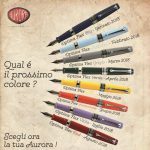 New born Aurora fountain pen from the famous Optima collection. Limited and numbered edition, cap and barrel in variegated brown Auroloide resin. Gold plated rims, piston filling and 18kt solid gold nib available in many widths. 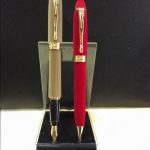 365 numbered and exclusive pens made by Aurora,one for everyday of the year ! Pay attention, pen out of stock! 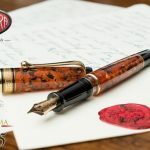 To celebrate its 88th anniversary last year, Aurora created its first-ever FLEX nib to fit the Aurora 88 model fountain pen – the now sold-out series was a resounding success! This year, the Aurora Optima will get the FLEX treatment with a limited series of eight different resin pens releasing in 2018. The FLEX nib is the result of Aurora’s passion for enhancing the pleasure of leaving your mark. The FLEX nib allows you to vary the size of your stroke by applying more or less pressure when writing. Made of solid 14K gold with rhodium mask, its a ‘must have’ for any calligraphy or pen lover. An Aurora model popular in the 1930s, the Optima is a stand-out for its unmistakable retro style. The FLEX version is crafted in rich resins with hand-polished chrome accents. Like all Aurora pens, its produced entirely in the company’s factory in Turin, Italy. The Optima has an ink window and piston-filler system with hidden reservoir to ensure you’re never at a loss for words. Each color in the series is limited to 330 numbered pieces worldwide. Elegant packaging includes a bottle of Aurora ink. Bottle fill only. Supplies are limited – please order soon!